The summer’s over and the new work-year has begun. No better way to kick it off than with a reprise of our summer’s big news — China Partnership of Greater Philadelphia and the City of Philadelphia were recognized at the annual high-level U.S.-China talks in Beijing this summer with one of six new U.S.-China EcoPartnerships. Our partner is the Tianjin Economic-technological Development Area or TEDA. Our PHL-TEDA EcoPartnership focuses on funded projects in Tianjin for smartgrid online monitoring systems (OMS), wetlands urban water management (WUWM), and green building energy efficiency (GBEE). 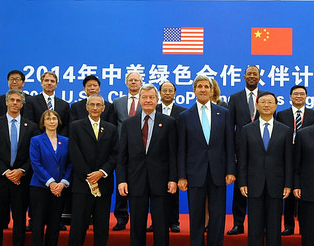 In other posts to follow, I’ll share some more background on what the five-year old U.S.-China EcoPartnership program is (and why it matters), give thumbnails on the other five EcoPartnership awardees in 2014, and provide a listing of the twenty-four active EcoPartners since the inauguration of the program in 2014.